Is Kale really good for you or is it just a fad? Click here for my published InShape News article. Kale was one of the most common green vegetables in Europe up until the Middle Ages when it fell out of favour. 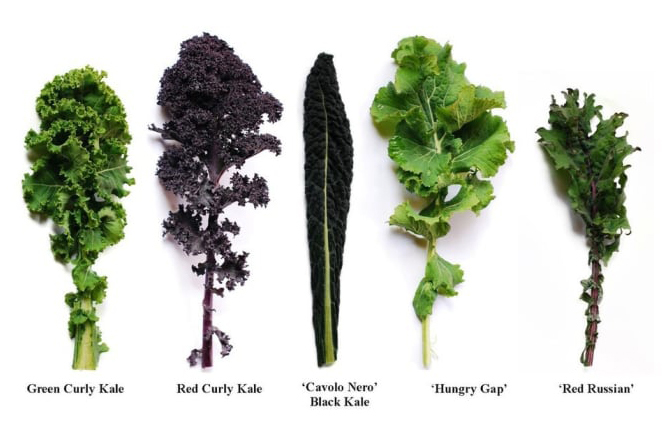 After recent introduction to America and Asia-Pacific, kale was grown for the beauty of its curly leaves, which added much needed decoration for salad bars all over the world. Its resurgence in popularity for ingestion and nutrition is relatively recent. Why is Kale So Popular? Eve Turrow of MindBodyGreen did a deep dive into the creation of the cult status of kale. Her fascinating kale article, a product of weeks of research, reveals that kale’s rise to stardom was actually a brilliant PR campaign of Oberon Sinclair, founder of My Young Auntie PR, masquerading as the American Kale Association (which isn’t real). That campaign produced a worldwide phenomenon that puts production pressure on farmers, downward pressure on prices, and plenty of kale on everyone’s plates, all of which is good for the consumer. Kale, like most vegetables is good for you. WHFoods.com lists a range of amazing health benefits, as does Helen Nichols of Well-BeingSecrets.com who lists 23 science-backed benefits including an aid for depression, diabetes, cancer, heart disease, obesity, as well as eye, heart, bone, skin and hair health – common with many other cruciferous vegetables. One reason that kale is promoted over its cruciferous compatriots, apart from the marketing, is that it has been far more heavily researched than say broccoli or cabbage. Kale is one of the most nutrient-dense plants on the planet for its calorie count, according to Kris Gunnars, Bsc. It’s also high in antioxidants, which is why it’s often turned into a superfood-style powder. And whilst these powders can have their place as part of a busy modern lifestyle, they do contain less nutrients than the real thing due to nutrient loss during processing. It is important to remember that any vegetable in its raw form is packed with macro and micronutrients, vitamins and minerals, which means it’s exceptionally good for you, including kale. Rather than following the latest ‘Superfood’ trend and over indulging in what may turn out to be an ineffectual (or harmful) dose, a better option is to eat a diet wide in variety that’s rich in raw natural ingredients and low in processed foods. Further the ‘bitter’ phenomenon of green leafy vegetables (including Brussels sprouts) may have a genetic link. Compound Interest’s Andy Brunning explains that some people are especially sensitive to naturally occurring chemical compounds called glucosinolates, which are broken down into isothiocyanates when cooked, and which taste bitter to around 70% of people. Eat as much kale as you like without going overboard, especially when it’s raw. Raw kale is packed with fibre so you’ll fill up quickly and stay full for a long time. Having said that too much of any good thing is a bad thing. And there is such a thing as eating too much kale. Fast Company’s Jessica Leber reports kale fails can include low-level poisoning of the toxic heavy metal thallium even from organic kale, however this is very unusual and medically unproven. What Are The Best Kale Recipes? Recommendations are always the best, so look for recipe sites that include user ratings to determine whether a recipe is good or not. Here’s a smattering of recipes I found to tempt even the fussiest tastebuds. 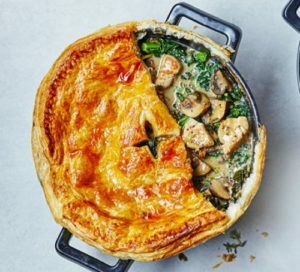 BBCgoodFood.com lists 34 kale recipes, of which the most highly rated are Kale Tabbouleh, Spicy Clam and Kale Linguine, Kale Pesto, Kale Salsa, and Chicken, Kale and Mushroom Pot Pie which looks completely delicious (see above). GoodHousekeeping.com has a lovely slide gallery of 16 recipes linking to blog sites featuring recipes like Kale Pesto Pizza, Sweet Potato Kale and Quinoa Fritters and Kale Slaw, great speedy share plate recipes for impromptu gatherings. JamieOliver.com claims to have eight killer kale recipes like Sesame-Roasted Kale, Super Noodle Ramen With Kale and Barbeque Mushrooms, and Kale And Ricotta Omelette perfect for any time of day. 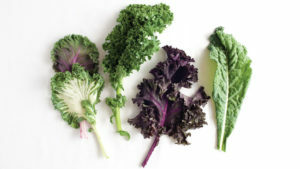 Finally Meghan Telpener has put together 8 Kale Chip flavour recipes almost guaranteed to obscure even the most bitter tasting kale, with oven and dehydrator options, as well as a number of tips to ensure your chips get really crunchy.